For excellent results and reliable outdoor performance, Early Skunk could qualify as the best all-round strain in the Sensi Seed Bank collection. She’s tough, fast and amazingly vibrant, able to produce lush, heavy harvests of dank, frosted bud in virtually any climate. 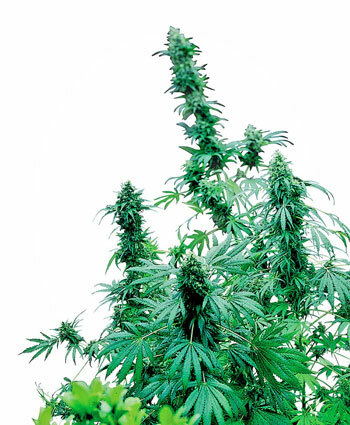 Early Skunk brings together the bulk and vigour of Skunk #1 and the outdoor hardiness of Early Pearl in a turbo-charged cannabis hybrid that can grow happily in the garden, on the balcony or in any outdoor location with access to direct sunlight. It wasn’t so long ago that outdoor growers with short summers were unable to grow Skunks and other powerful hybrids to their full potential. To avoid poor weather at the end of outdoor season (which could cause fungus problems in extra-dense Skunk buds) growers in cool-climates were usually forced to harvest their most exotic plants before flowering reached its peak. Early Skunk was created to address this problem, and has been providing northern growers with the perfect solution to their dilemma ever since. The influence of the Pearl parent allows Early Skunk to finish weeks earlier than Skunk#1 and greatly increases the strain’s resistance to mould and fungus. Indica features dominate the growth pattern, giving a solid, resin-encrusted flower formation and massive yields. Early Skunk's Sativa side causes some extra 'run' in her thick arms of bud, and is strongly evident when sampled - imparting a smooth, buoyant high which blends with and lifts the warm, powerful Skunk stone, carrying it to new and interesting places.